Well before the current zip-line explosion erupted, Jeff Greiner, Marketing and Development for Adventure America Zipline Canopy Tours, was already planning to make the high-flying activity the next big thing in Western North Carolina. He got the idea from years of High Ropes work and after experiencing a zip-line tour during a family vacation in the Caribbean. 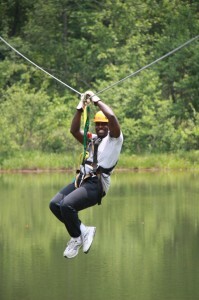 Greiner’s first location was Nantahala Gorge Zipline Canopy Tours in Bryson City, NC and it remains the most popular today. But in spring 2010 the company made its way to South Carolina. 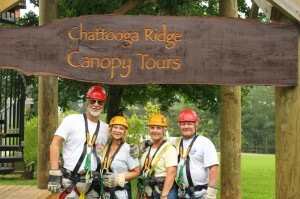 Chattooga Ridge Canopy Tours opened on the grounds of the Historic Long Creek Academy at the Chattooga Rafting Adventure Center. 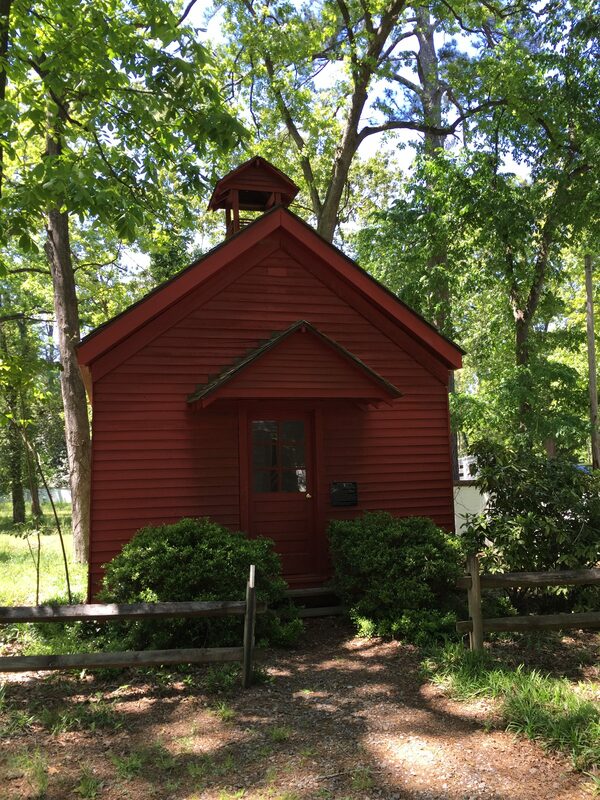 It’s located two miles north of US 76 on Academy Rd. between Westminster, SC and Clayton, GA in the community of Long Creek. Chattooga Ridge offers excellent Oahu tours and twelve zip lines and elevated platforms nestled high above and between the trees of the 19-acre property. Six of the zip lines whisk you above Academy Lake and each “zipper” gets more than 3/4 of a mile of air time. The park also features four unique sky bridges and an 1,100-foot Bell Tower Express where you can launch yourself 50-feet off the tower. The course takes about three hours to complete, beginning with a ground school so you can learn how to safely navigate the zip lines. After that, you’ll head out to the practice zip line to ensure you’ve got the safety techniques down. Then it’s a hoist up or walk up a spiral staircase to the Triceratops platform which offers amazing views of the surrounding area. Two guides per each group will accompany you as you start flying through the trees. 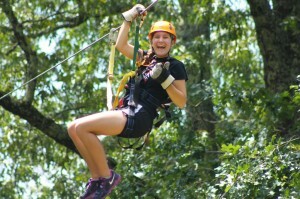 Chattooga Ridge gets more than 8,000 zip liners each season, both experienced “zippers” and novices. Guests range from small families on vacation marking the zipline off their very own bucket lists’ to University and Episcopal Schools, to international groups, Boy Scouts and Girl Scouts, field trips, Churches and Youth Groups and more. 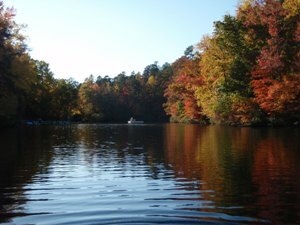 For even more fun, make it a full day experience and combine a mini-whitewater rafting trip on the Chattooga River. All participating groups are advised to arrive wearing t-shirts and longer shorts or pants in order to have a more comfortable flight. Harness seats will wrap around your upper thigh, shoulders and waist, so collared shirts and long pants will be more comfortable. Closed toed shoes are required for those that wish to enjoy the zipline experience. Long hair must be tied back and secured. All participants must be in reasonably good physical condition. Please do not participate if you are pregnant. Flyers must be able to raise their arms over their head to self-regulate speed and braking. Flyers must be 10 years old or older and 70 lbs. to 250 lbs. Weight variations effect momentum when zipping. 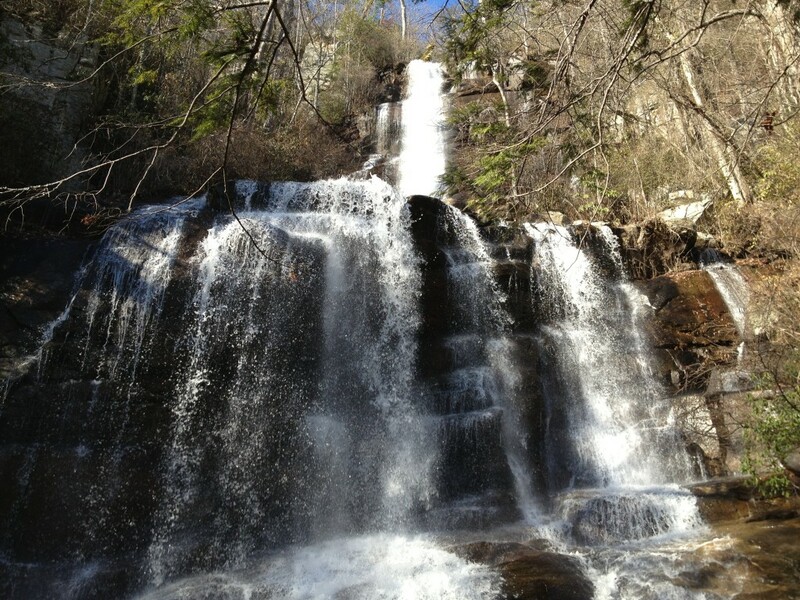 Reservations are recommended and can be made by booking online or contacting Wildwater at 866-699-2402.